Obviously in synergy with my ongoing Necron project, I sort of ended up with these models when buying some Necron items from a friend. On a whim last week I decided to paint them and get them ready for a lifetime of listening to terrible impersonations of Schwarzenegger. Although as usual my photography is sub-par, I think that its good enough to illustrate that these guys look a lot like how they should look. Slight, stiff, implacable and generally bad news. I tend to hum various bits of the audio hooks from the movies whenever I look at them. Thats got to be a good thing, right? 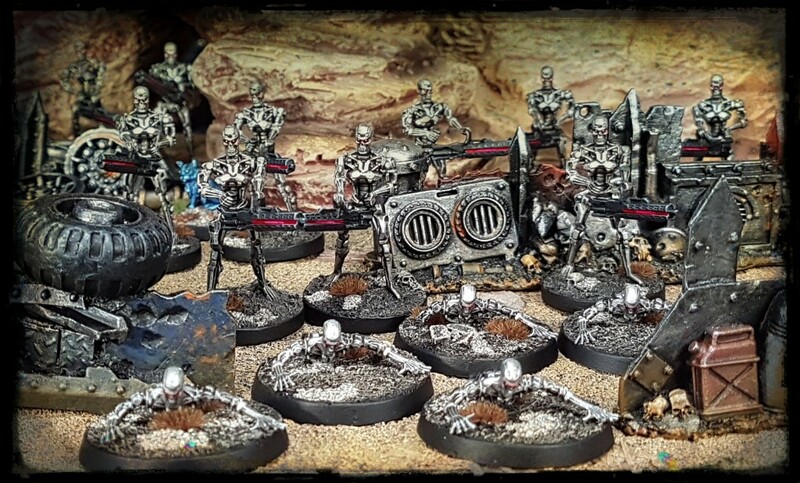 The fifteen models, ten endoskeletons and ten “crawlers” (damaged endos sans legs) took little time to paint, and were quite fun. I have bought another set since because it should be easy enough to repeat the process I think. 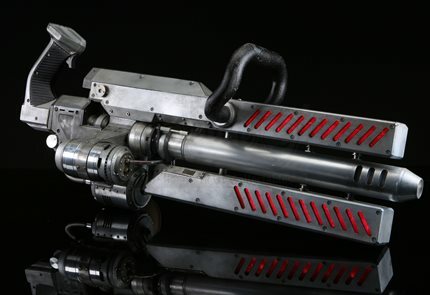 In the Genisys movie, the plasma rifles glowed on the sides of the top and bottom of the plasma rifles used by the Endoskeletons. I tried to paint the tiny indentations on the models like that, but it was a bit too fiddly for my patience. Instead I painted the recess in the middle barrel area of the models weapons in a red. I reckon that it still looks good, and it ties back to the Necrons weapons that I have been painting. The goal with these is to paint an army after all, and painting the guns this way is vastly faster, if less movie accurate. 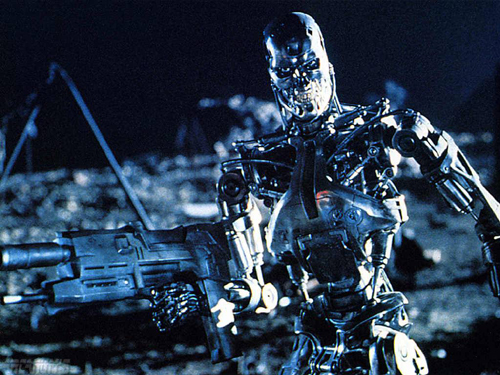 On a related note, I have decided to run a Terminator themed game at a convention this summer. 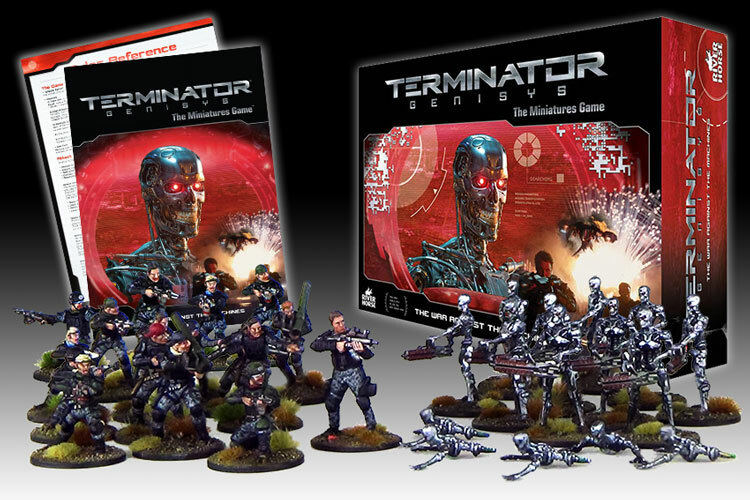 I plan to use a version of the “Terminator Genisys Miniatures Game” that came out a few years ago. Fundamental to the game are three rulers, used quite neatly for a number of processes. The three cardboard templates from the game. As I plan to have a large number of players, I thought that I would have some extra rulers made. Like Elvis, I am all about the accessories. A business that I buy from pretty regularly hobbymad.ie was the obvious place to check with. I wasn’t sure what sort of materials would be appropriate and available from Hobbymad, but after a quick chat with the proprietor, I went with a form of flexible plastic laminate. But I wasn’t expecting templates as snazzy as these. I expected a sort of vaguely shiny grey-ish plastic, not the mimetic poly-alloy finish that I got. I am very pleased with them. I also paid for them by the way, this isn’t a shill, even though my buddy Mr Saturdays also managed to plug Hobbymad today. Shrug. Finally, I am obliged to finish this post with “I’ll be back”. Sorry. Wow that last pic is top notch! You really leveraged your terrain collection well there. Nice work as always and the comparison pic is probably helpful to lots of people. I kind of like the “Moonraker Miniatures Skeletal Robot” myself; his beefy, somewhat bucktoothed look sets him apart from the rest… But these “official Terminators” are just perfect, everything from their proportions to their menacing grins are spot on. In the game, are the creepy “crawlers” the result of inflicting damage on the “walkers”? Or a separate original unit type? Thanks for the kind words about the terrain Al. I’m working on some J-Day style terrain at the moment too, so hopefully there will be some more fun in-situ photos. In game the endos are very difficult to kill outright with man-portable weapons, as you might expect. The crawlers are not a troop type themselves, they are what is left when a Terminator is damaged, but not destroyed, as you surmised. Man, i have the 2 player box but have never done anything with it, should bring it to my local store and see if anyone feels like playing, before i bought the box all reviews i found on the net were unquestionably positive. Excellent job with those guys, and the rulers make it even better. Thanks jherazob! The endos were really rapid to paint, and lots of fun. All the game reviews are positive, the rules themselves read very well and the theme is something that has almost universal geek appeal. Really great. Big props to your dedication to research so you get all the details correct. Good luck with the game. The rules look like fun and at the prices that the boxes are available at now, the purchase is worth it for the Endoskeletons alone. A friend with an Imperial Guard army is painting the Resistance miniatures, and although I have plenty of suitable terrain, I’m putting together a set with a Judgement Day vibe. I’m hoping to get a decent bit of Terminator gaming in. Thanks for the feedback Suber! Those look really great, either rubbing shoulders with your Necron as some kind of weedy reservist, or menacing innocent civilians from the past. I do like those shiny ruler. I love a good game accessory! Necron society is hidebound (sometimes literally), with a caste system defined by the tech assigned during biotransference. 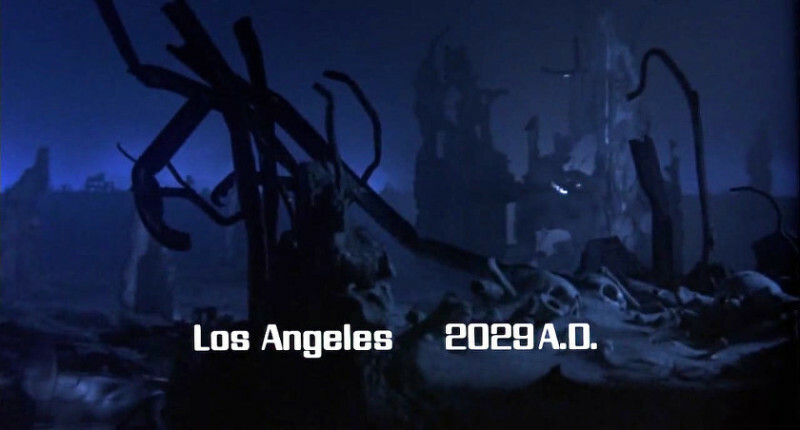 I am perfectly happy to imagine that the T800s are a lower class/caste, as evinced by their minimalist look. The Necron drive to regain a biological existence gives lots of ways to work various elements of the Terminator vibe in to my project. Who knows, maybe I will get around to writing it down one of these days? Thanks fir the feedback Axiom! Seeing a ruler like that just makes me want to put it over the end of the table and make it go BRBRBRBRBRBROING. Like we’re at school. Best not let me near them. Lovely work on the bots! Your photos made them come to life much more than the grainy photos that Warlord had on release of the actual game! The shiny rulers are flexible, and may make a sort of science fiction version of said BRBRBRBRBRBROING sound. I’m unsure how long they will last under that sort of treatment though. The silver on white images on the Warlord site certainly didn’t show the endo models in the best light. With a bit of high contrast silver metal they pop adequately enough for what they are supposed to represent. They are also absolutely simple to paint to the level above. I’m working on another fifteen at the moment actually. Fantastic! I’m looking forward to this. I don’t know why, but the fist on the short template has me intrigued. Fist = Close Combat range. Long range is beyond the rulers. If you play a game on a larger surface area than the small mat supplied, then there is an Extreme range too. I think that it will be fun. The rules look solid and the theme is beloved. I think that it will be a good gaming experience. I think the Moonraker ones look pretty snazzy myself. Your paint jobs have really brought those different mini lines all together. The red glow on the barrel is top notch too Paul. And those rulers are off the charts! What other stuff have you hand made by them in the past? With the others stuff you have lined up for this game as well I can’t wait to play it. Excellent! The Moonraker figs are classic 90s Copplestone sculpts. I think that I will end up using them as T600s, the rubber skinned, larger guys that often carry miniguns, most familiar from an early scene in Terminator: Salvation. An underrated game, and I’ve always thought it would work well at a Con. Looking forward to to seeing some more snaps in the future! Gameplay has been highly enjoyable so far Jason, and the rules mechanics are tight. Objectively the game has loads going for it. It somehow missed the zeitgeist I think, in part due to the fairly poorly received movie (which, while certainly not Citizen Kane, does have a fun first half and some enjoyable elements). Regardless, there are enough available rules to keep playing it for a very long time without it becoming stale I think.